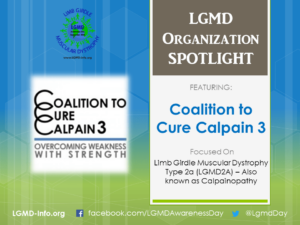 Coalition to Cure Calpain 3 (C3) was founded in 2010 for the specific purpose of funding research efforts focused on understanding the biology of and finding a cure for LGMD2A/Calpainopathy. This organization was created by patients and their families who were frustrated with the lack of knowledge about the disease and the fact that very little research was being done. For some of us, even getting a specific diagnosis had taken decades. We are motivated by our desire to encourage collaboration among scientists, those who have LGMD2A, their families and friends, and the community-at-large to bring an end to this under-researched, underfunded “orphan” disease. 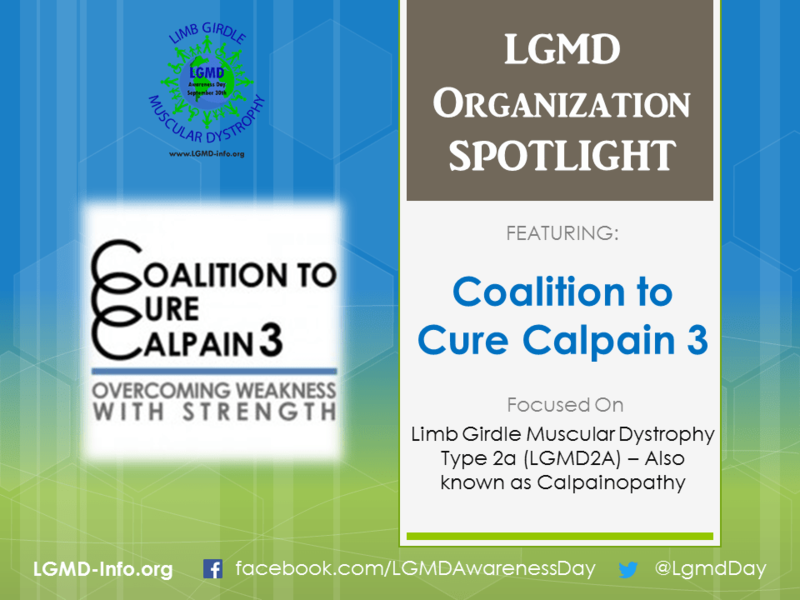 C3 is committed to treating and ultimately curing limb girdle muscular dystrophy type 2A (LGMD2A)/Calpainopathy. Our mission is to fund high potential research and clinical trials as we educate the global community about this disease. We are most proud of the fact that we have been able to attract and support high caliber scientists to spur calpainopathy research. Dr. Melissa Spencer has led our Scientific Advisory Board since our inception in 2010, working alongside Drs. Kevin Campbell, Eric Hoffman, and Lou Kunkel. Dr. Jennifer Levy joined us as the first C3 Scientific Director in 2016 and has more than doubled the number of research projects we are funding. The fact that our foundation, initially just an idea we had to try to make a difference, has committed almost $1.5 million dollars to calpainopathy research undertaken by leading scientists – Drs. Michele Calos, Lou Kunkel, Cathleen Lutz, Rita Perlingeiro, Isabelle Richard, Melissa Spencer, Volker Straub – is something we are indeed proud of. Bringing a therapy from the research lab to a clinical trial is a long and expensive process. The most critical way people can support our organization’s mission is to donate. 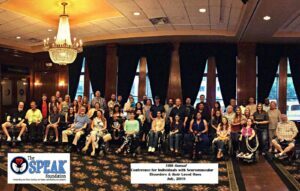 Every dollar makes a difference in our efforts to cure this muscle-wasting disease. Email us at info@curecalpain3.org. We will reply! 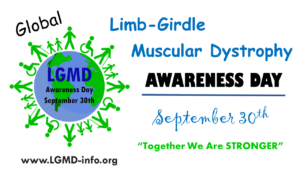 If you know that you have some form of limb girdle muscular dystrophy, please push for genetic testing to identify your type. 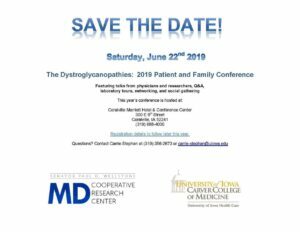 There is still much for all of the LGMD organizations and the scientific community to learn about this group of diseases, and you can help by joining the appropriate patient registry. Seek out the many support groups; you are not alone. Please know that we are motivated and working every day to learn more about calpainopathy and to find a treatment or cure.